Water in your basement, swampy lawns and icy parking areas are signs of poor drainage. Excess water underground will certainly seep through any small cracks into your basement. Improper grading and drainage will make standing water a problem. 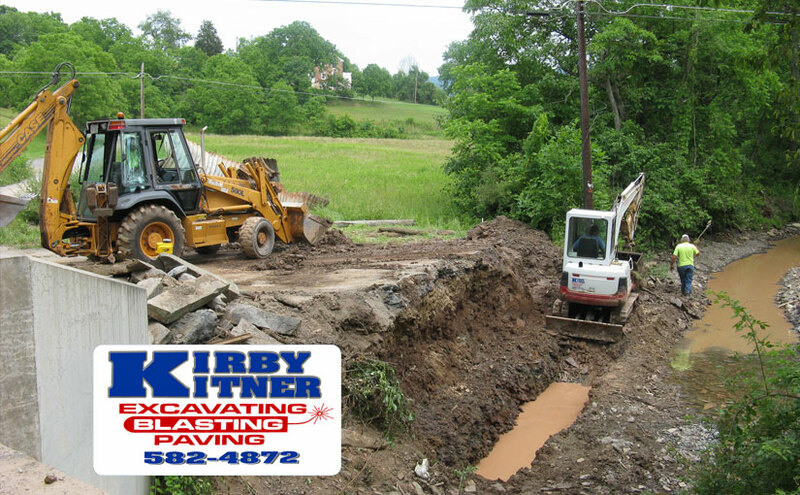 Kirby Kitner has lots of experience in all types of drain tile situations. He can install pipe with weep holes along one side set in a trench and covered with gravel. 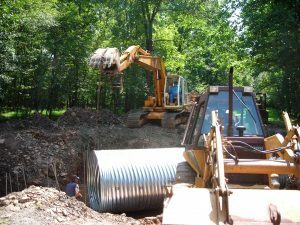 He has experience with Storm Water Metal Drainage Pipe for industrial applications. He has the equipment to get the job done right for residential or commercial locations.